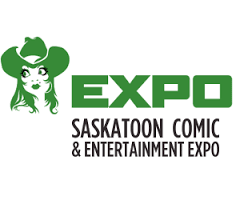 The fourth annual Saskatoon Comic and Entertainment Expo kicked off today. This year’s line of media guests include Ernie Hudson (Ghostbusters, The Crow), John Rys-Davies (The Lord of the Rings, Raiders of the Lost Ark), Cas Anway (The Expanse), Ruth Connell (Supernatural) and Lou Ferrigno (The Incredible Hulk). Voice actors Maurice Lamarche and Rob Paulsen (Pinky and the Brain) are also be here. The day was very busy. The crowds were large and everyone looked like they were enjoying themselves. 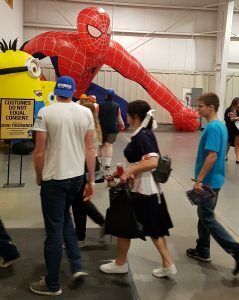 There were lots and lots of people in costumes. 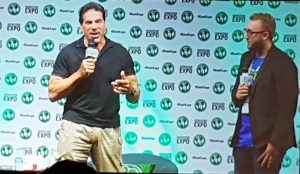 Lou Ferrigno’s talk/ q&a was really good. There was some terrible with the microphones but that problem eventually got resolved. 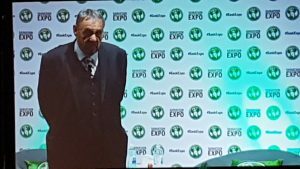 John Rhys-Davies did his talk next. The actor has had a very long career and has been in some of the biggest franchises (Indiana Jones, The Lord of the Rings). His talk was really good and his answers were highlighted his humour. 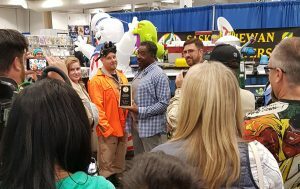 I sadly missed Ernie Hudson’s q & a but I did see him on the show floor receiving an honourary Saskatchewan Ghostbuster accomodation. This year the layout of the expo was bigger and it felt more spacious. The vendors had more room and everyone seemed to be having a great time. This year was quite lame. Less vendors less options for products (unless you’re looking for Lego characters). The extra space was the only thing I found beneficial. Worst feature, however, was the lame “passport” that the Expo gave everyone. Suggesting that they get their passport stamped as they moved around the exhibition for a chance to spin a wheel for a guaranteed prize. I filled mine, alright, all at kiosks that should never have taken up space at the expo. I got to spin the wheel, landing on #5. The prizes for #5 were all gone, but instead of offering me another spin for a “guaranteed” prize, they shrugged their shoulders and sent me off. After protesting that this was a sham, nothing was done. 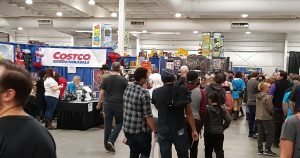 This year’s Comic Expo is LAME and the organizers should be ashamed of the passport scam. This was definitely NOT worth the $35 I spent for the ticket.